A new study looked at how spinal cord compression can lead to brain damage. According to the results of the study, patients with spinal cord compression have changes in the motor cortex of the brain. 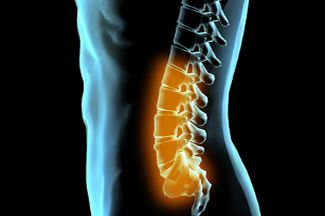 The study examined 11 healthy controls and 24 patients with reversible spinal cord compression. The researchers were looking to see which patients are benefitting from the surgery. "We're looking not only at the mechanisms of the spinal cord, but also, what's happening in the brain and how it responds to injury in the spinal cord, and whether there is any plasticity or ability in the brain to compensate for injury," Dr. Duggal, an associate professor in the Department of Clinical Neurological Sciences at Western's Schulich School of Medicine & Dentistry and a neurosurgeon with London Health Sciences Centre said. The researchers used many techniques to detect parts of the brain that were involved in the damage of the spinal cord. The goals of the tests were to determine the levels of these chemicals were any different in the participants with spinal cord compression. They found that those with spinal cord compression or injury had a massive change in the brain chemical levels. The researchers are still working to determine whether this change occurs over time. The study will also help discover which patients will benefit from surgical procedures. The next step of the study is to determine if the levels in the brain will change after surgery.